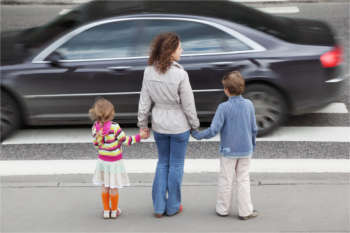 Pedestrian safety measures should look for separate solutions for adults and children, according to a report carried out on behalf of the Parliamentary Advisory Council for Transport Safety (PACTS). 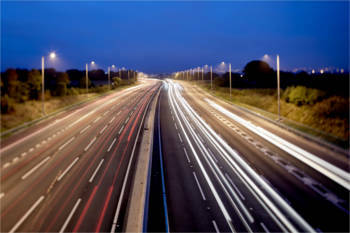 3M is hosting its latest road safety seminar in Scotland on Wednesday (25 September). Road safety charity Brake wants the Government to extend the ban on using hand-held mobiles at the wheel to hands-free phones. The M6 extension scheme has won a road safety award in recognition of measures put in place to protect drivers and road workers. 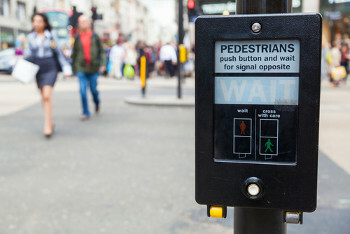 New pedestrian technology that is designed to make crossing the road easier and safer is set to be trialled for the first time ever by Transport for London (TfL). A third of a million people will be killed or seriously injured on the roads in Great Britain over the two decades ending 2030 unless the government acts, according to a report commissioned by the Parliamentary Advisory Council for Transport Safety (PACTS). Scotland TranServ, working on behalf of Transport Scotland, has completed a vehicle safety barrier replacement project on the Erskine Bridge. London’s Transport Commissioner Sir Peter Hendy CBE has praised a programme designed to ensure that a road safety culture is embedded across the construction industry. The UK no longer tops the international league table for road safety, according to government figures released today (26 June). 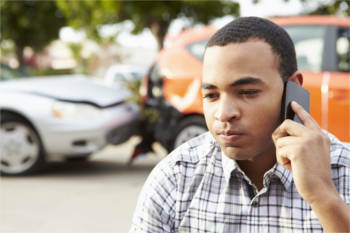 The Institute of Advanced Motorists (IAM) has revealed the local authority areas that have performed best and worst for reducing the number of people killed or seriously injured on their roads last year. A-one+ and Colas have been awarded a 2014 Prince Michael International Road Safety Award. 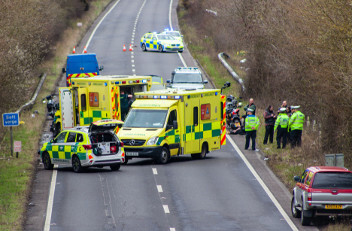 Progress made in cutting death and injury on roads across the UK has varied dramatically over the past five years, according to a report carried out by the RAC Foundation and the Parliamentary Advisory Committee for Transport Safety (PACTS). 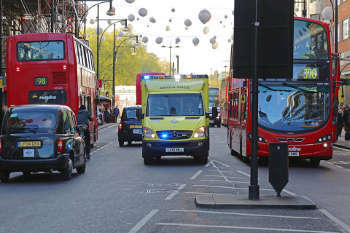 The Mayor of London wants to halve the number of people killed and seriously injured (KSI) on the capital’s roads by 2020 compared to the government base line. Two hundred people were killed in reported road accidents in Scotland in 2014 – a rise of 16% on the previous year. New casualty reduction targets need to be introduced if the recent increase in people being hurt on the roads is not to be repeated, according to the RAC Foundation. TfL and London’s Mayor have launched the capital’s first interactive digital collision map, which they say is part of a continued drive to improve road safety awareness to reduce the number of casualties in London. The number of motorists being prosecuted for using their mobile phone while driving has fallen by almost 50%, according to official figures seen by the RAC. 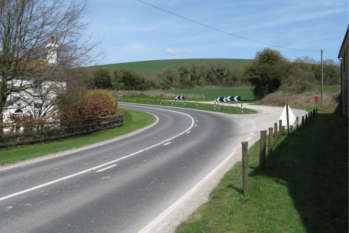 Three people died on country roads every day last year, according to figures released by the Department for Transport (DfT). Highways England is aiming for a 40% reduction in the number of people killed or seriously injured on the strategic road network by 2020. Transport for London’s Construction Logistics and Cyclist Safety (CLOCS) programme has been recognised for its rapid success in improving HGV road safety with a Prince Michael International Road Safety Award. A Northamptonshire man who filmed himself driving high-speed cars on roads at speeds of up to 192mph has been jailed for two years and four months. 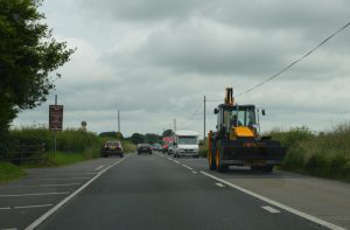 The Department for Transport has unveiled a raft of measures to improve the safety of Britain’s roads. Intertraffic 2016 "bigger and better than ever"
The organiser of Intertraffic Amsterdam says the 2016 show will be the biggest ever, with more than 800 exhibitors and 27,000 visitors. Declines in the level of police enforcement of traffic offences are contributing to Europe’s failure to cut the numbers dying in road collisions, according to two new reports on road safety. 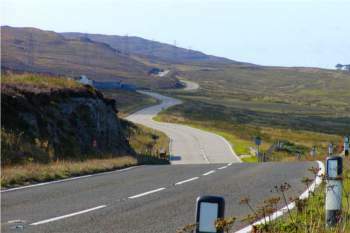 Road safety inspections in Scotland will be aided by GPS and video capturing software from RouteShoot. Drivers that flout the variable speed limit restrictions in place along a busy stretch of the M4 around Newport will face tougher enforcement action, says Economy and Infrastructure Secretary, Ken Skates. Blakedale has reinforced its commitment to road safety by installing a fully recordable multi-camera system as standard to all new 7.5 tonne traffic management and 18 tonne crash cushion (impact protection) vehicles. A report published by the Parliamentary Advisory Council for Transport Safety (PACTS) suggests that Great Britain has consistently been among the world’s countries with the lowest rates of road deaths, but there are areas where the country does not compare well. Eight out of 10 drivers think that the removal of hard-shoulders on smart motorways has made motorways more dangerous than four years ago, according to an AA Populus poll of 20,845 drivers. Transport Secretary Chris Grayling has announced £70 million funding to support local communities and road safety along the HS2 route between London and the West Midlands. Improvements at the A737 in Beith, Scotland, have moved a step closer with the publication of draft road orders. Highways England has launched a new campaign urging drivers to slow down in the rain. The Parliamentary Advisory Council for Transport Safety (PACTS) is calling on the Department for Transport to set up a UK Road Collison Investigation Branch in order to help bring down the number of deaths and injuries on the roads. 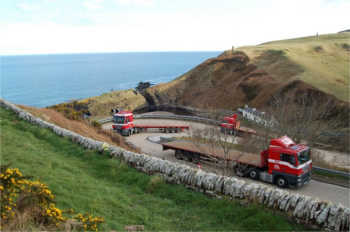 The bidding process has been launched for the £9m A9 Berriedale Braes Improvement scheme. 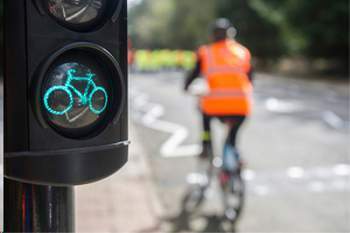 Ministers are inviting eight English cities to bid for a share of £6.5m to improve safety for cyclists as part of the Government’s controversial cycle safety review. 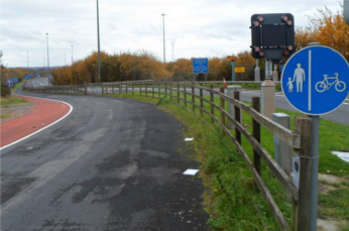 Highways England has extended the deadline for people to object to its proposal to ban cycling on a section of the A63 in Yorkshire on safety grounds, following a huge number of responses. 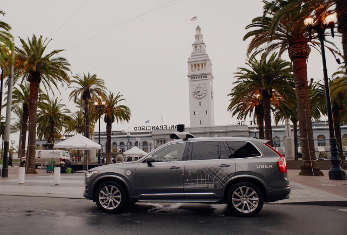 The governor of the US state of Arizona has suspended Uber’s self-driving vehicle testing after a pedestrian was killed in a Phoenix suburb last week. 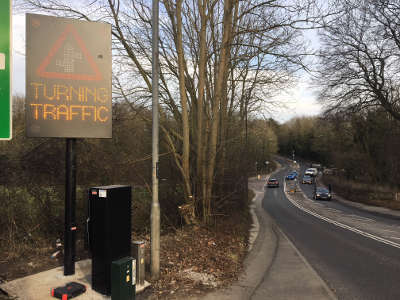 'Innovative' Vehicle Activated Signs from SWARCO are helping to reduce accidents at a notorious road junction in Derbyshire. 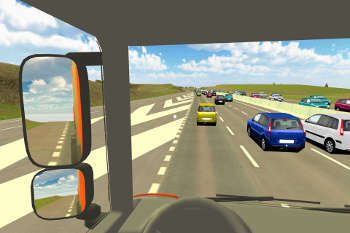 Highways England is using virtual reality to raise commercial drivers’ awareness of their blind spots – particularly those from abroad – and reduce the risk of incidents. 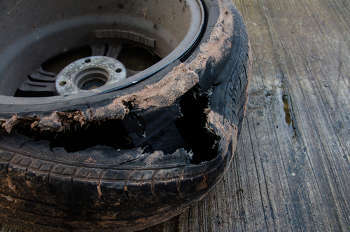 More than 30 people were killed or seriously injured in motorway crashes in 2016 due to illegal or faulty tyres, but almost three quarters of tyre failure-related motorway incidents could be prevented by simple checks, according to new research. 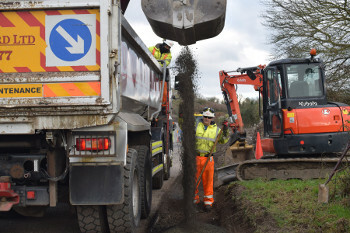 Highways England has revealed that here are nearly 300 incidents of incursions and abuse reported by road workers on the strategic road network every week. The European Commission has announced details of its Third Mobility Package, which includes a target to reduce deaths and serious injuries on EU roads by 50% between 2020 and 2030. Transport Scotland is to install a signalised pedestrian crossing on the A92 in Fife after the transport minister met the parents of a child who was killed on the road. 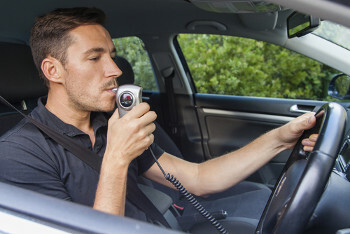 Ministers have promised ‘swifter justice’ for drink-drivers through new roadside breathalyser equipment but the technology remains unproven and will not be introduced for at least two years. Scotland has achieved a major success in road safety taking the country ahead of its 2020 target for reducing road fatalities. 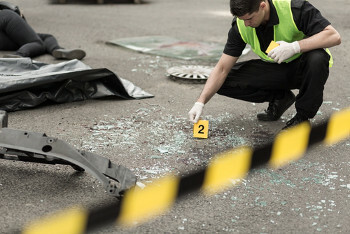 The Government has announced a three-year trial under which dedicated investigation teams will be deployed to UK roads to analyse the cause of road collisions. Former director of the Department for Transport and current director of the RAC Foundation, Steve Gooding, talks about life’s hardest lessons. The EU’s target to halve road fatalities by 2020 now seems likely to be missed, with the UK currently making no major progress, road safety experts have said. 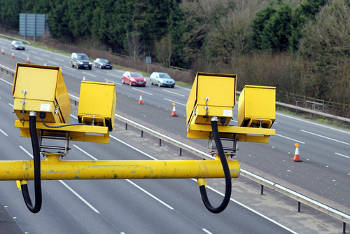 Highways England is to test whether speed limits through motorway roadworks can be increased to up to 60mph at weekends or different speeds used in different directions through the same works. 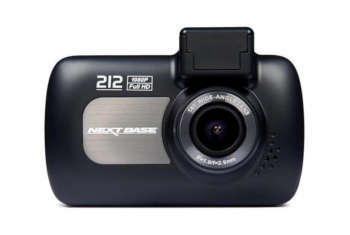 Twenty-one UK police forces have signed up to a newly launched National Dashcam Safety Portal, which makes it easier for motorists to relay videos of dangerous driving that they have witnessed. The number of people killed or injured in drink drive crashes in Britain has risen by 7%, according to the latest official statistics. Following new statistics showing a rise in drink drive related crashes, deaths and injuries, Jemma Callow of Clearview Intelligence looks at the increased risk of crashes during the summer months and what can be done to make roads safer. 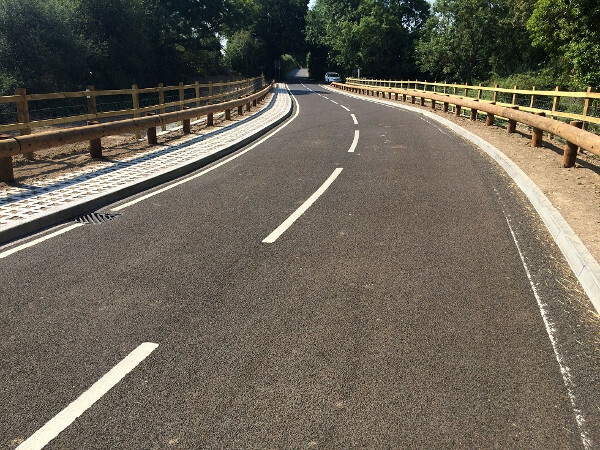 A council has hailed the road safety improvements and ‘green engineering’ it has introduced in a £580,000 project to replace a road bridge. 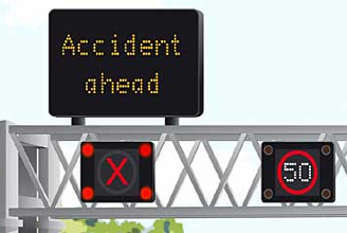 Highways England has sent 130,000 warning letters in two years to motorway users who wrongly used the hard shoulder or ignored red X warning signs as many continue to flout the law in the absence of automatic enforcement. 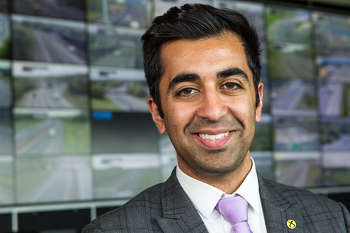 The Scottish Government has launched a new round of funding to improve road safety in the country. 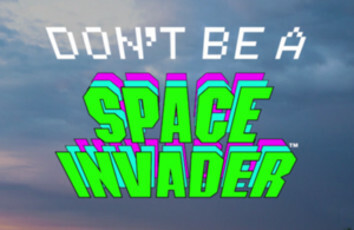 Highways England has launched a new campaign to alert drivers to the risks of tailgaiting, as new figures show that driving too close to the vehicle in front causes more than 100 people to be killed or seriously injured each year. Motoring groups have called for more effective action to tackle road casualties after the number of people killed on Britain’s roads rose again. 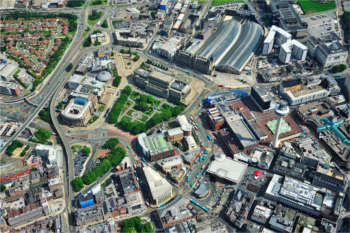 The Churchill Way flyovers in Liverpool city centre have closed after a routine inspection found several design and construction flaws. 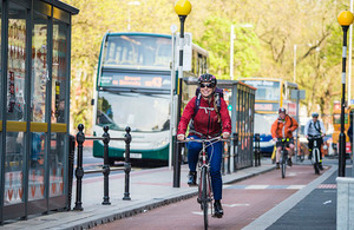 Highways England has linked with charity Sustrans to deliver cycling schemes worth £3m as it works to meet its target for cycling improvements in the Road Investment Strategy (RIS). 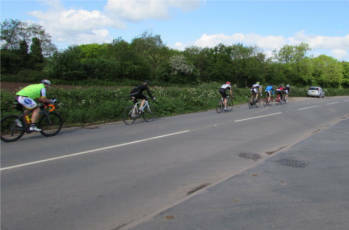 The transport watchdog has called on Highways England to do more to address the safety fears of cyclists, pedestrians and horseriders. 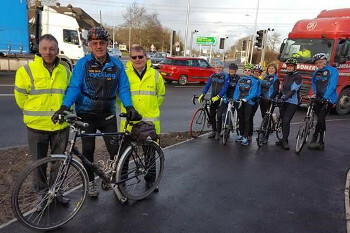 Campaigners have welcomed confirmation that planned revisions to the Highway Code will include new measures to promote cycle and pedestrian safety, including the ‘Dutch reach’ method of opening car doors to avoid hitting cyclists. Labour's shadow road safety minister is to write to the Government to ask what has happened to the unspent £75m from its £175m Safer Roads Fund. A £100m scheme to improve the 48 riskiest local authority A roads in England will prevent almost 1,450 deaths and serious injuries over the next two decades, safety campaigners have said. 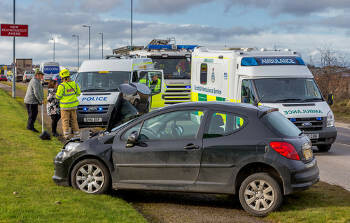 The latest figures from the Scottish Government have revealed impressive progress on road safety, with the number of casualties down to the lowest level since records began. 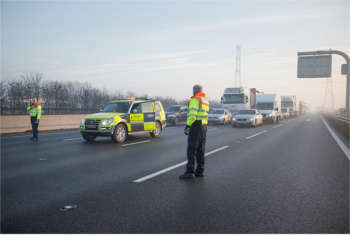 A new report has highlighted the 2,549 additional deaths that have occurred on Britain’s roads in the last decade as the long-term trend of casualty reduction has stalled. 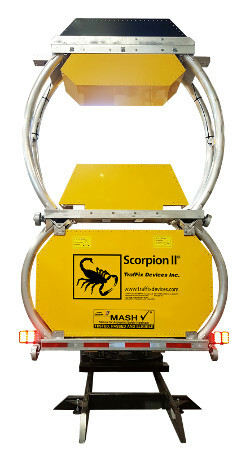 Road safety vehicle hire and sales specialist Blakedale has launched a transatlantic partnership that will see it distribute a new Truck Mounted Attenuator (TMA) in the UK. Highways England has rolled out the first of a fleet of new gritters that employ the latest technology and are designed to stand out in winter conditions. 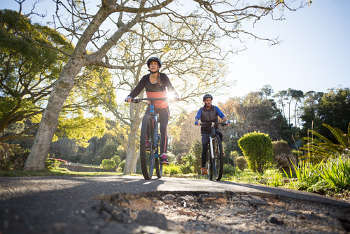 Potholes and poor carriageway surfacing have topped a list of risks to cyclists and motorcyclists compiled by road safety experts. People on two wheels face a 63 times higher risk of being killed or seriously injured (KSI) per mile travelled than car drivers, a road safety charity has said. 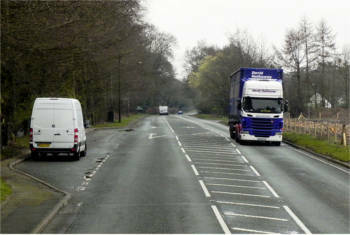 New statistics have revealed that many single carriageway roads on the strategic road network (SRN) present an ‘unacceptably high’ risk to drivers. 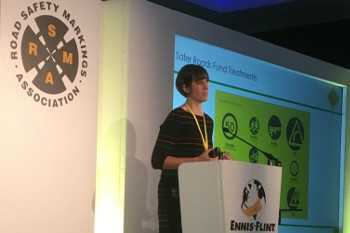 The roads sector has been left wondering where £75m originally allocated to the Government's Safer Roads Fund will be spent, after the minister said the fund had 'done its job'. 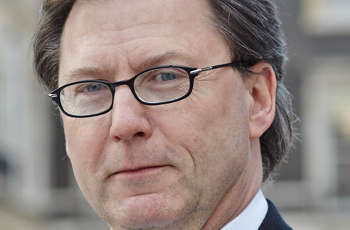 The head of the Road Safety Foundation (RSF) has raised concerns about the state of local road safety engineering in the UK, suggesting the necessary skills and finance are simply dying out. The RAC Foundation is making progress on the Department for Transport sponsored Road Collision Investigation Project, with the police forces involved, and their allocations from the £480,000 government grant, due to be finalised in early 2019. 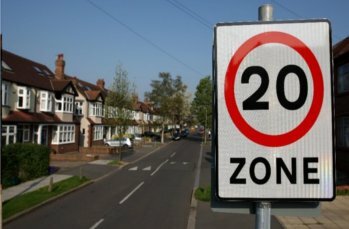 A long-awaited evaluation of the use of 20mph limit schemes has failed to find evidence of a significant short-term impact on safety but pointed out that they could provide other benefits, including promoting active travel. 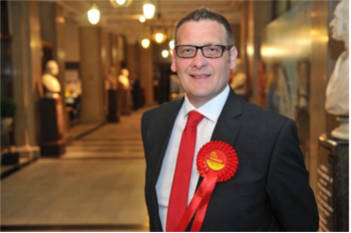 Labour’s shadow roads minister has accused the Government of a record of failure on road safety in the ongoing row over the unspent £75m for improvements to local roads. 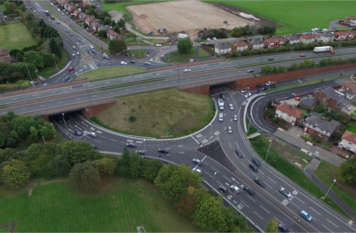 A £7.5m junction project by South Tyneside Council has delivered a 36% reduction in casualties since it opened in July last year as well as improving flood resilience and journey times, reliability and queue lengths - David Pringle, project manager at South Tyneside Council, explains how. 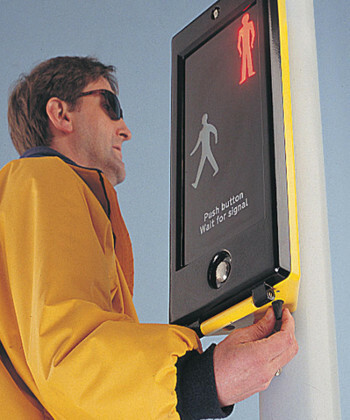 Transport for London (TfL) is marking the 150th anniversary of the world's first traffic light by highlighting how it makes signal controlled crossings better for pedestrians. 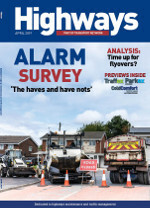 The national roads watchdog has challenged Highways England over its failure to publish long-awaited data on the safety of the strategic road network, Highways has learned. 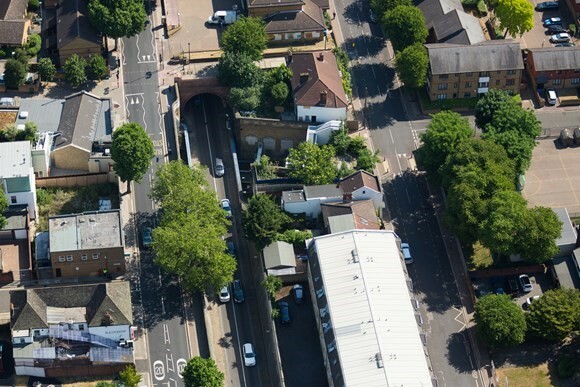 Transport for London (TfL) is bringing in new cameras in the Rotherhithe Tunnel to enforce safety restrictions and deter oversized vehicles from using the route. 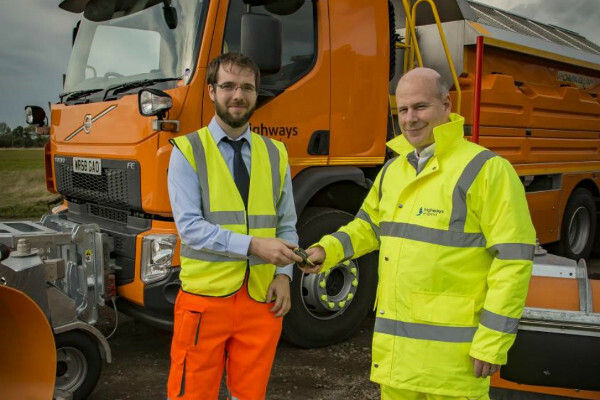 West Sussex County Council and contractor Balfour Beatty are using an innovative recycling technique on a road safety scheme that has itself been described as ‘agenda-setting’. 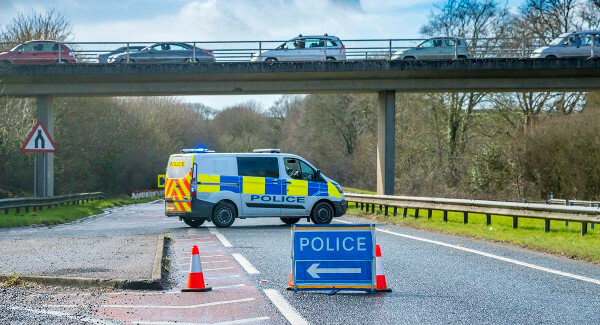 Civica Digital has partnered with the Department for Transport (DfT) to free up police time through an enhanced version of its cloud-based collision reporting system. 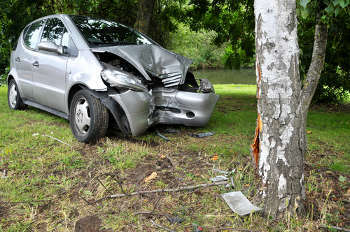 Road deaths involving drink-driving incidents are at their highest level since 2009, according to official estimates. 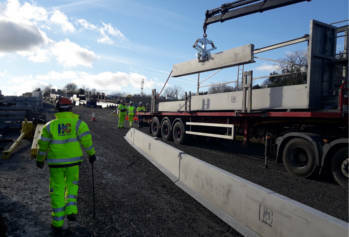 The first installation project has been announced for a new HC350 concrete barrier, which offers a narrow footprint of 350mm. Did you see the Zebra crossing? 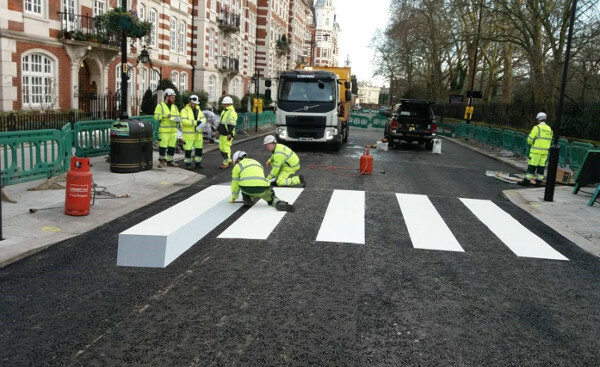 Infrastructure services firm FM Conway has installed new three-dimensional road markings on a zebra crossing in London to get drivers to slow down. 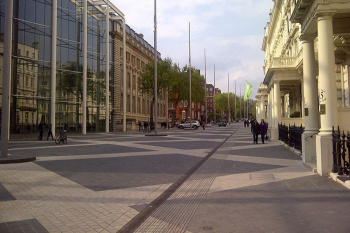 The average speed of vehicles using a shared space in London has increased by 5mph over the past six years, new figures have revealed. 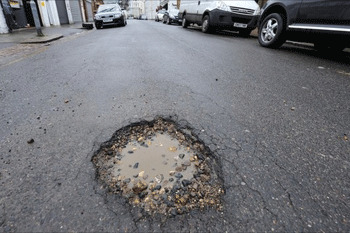 Pothole compensation claims cost councils 25 times more per cyclist than for motorists, according to new research. 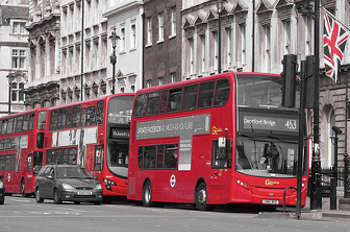 A transport union has demanded that mayor Sadiq Khan and Transport for London improve the safety of the capital’s franchised bus services after 45 people were killed and 1,017 seriously injured over five years. New research from the RAC has found that more than a fifth of motorists have driven in a lane closed by the red X sign in the past year. The Commons Transport Committee is launching an inquiry 'to scrutinise the Government’s approach to road safety' over concern that progress on the issue has levelled off. 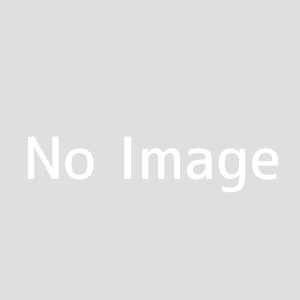 ITS product manufacturer AGD Systems Limited has acquired Radix Traffic Limited as part of its ‘ambitious’ plans for growth. The latest in a series of powerful videos from Kier on issues surrounding mental and health and safety in the highways sector. From 2022 new cars, vans, lorries and buses sold in Europe could automatically prevent drivers from going over the speed limit. Road safety vehicle specialist Blakedale will showcase the best of its self-drive traffic management fleet of vehicles at Traffex next week, including a ‘revolutionary’ crash cushion. 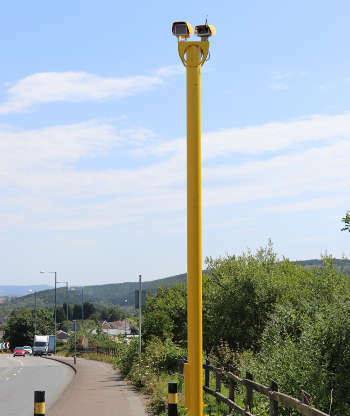 Jenoptik Traffic Solutions UK has announced that its VECTOR SR enforcement camera has achieved Home Office Type Approval, allowing it to be operated as an unattended enforcement device for measuring vehicle speeds.